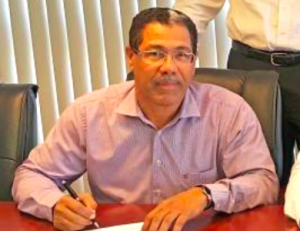 WILLEMSTAD - On 17 May, Mr Jose van den Wall Arnemann was dismissed as director of Refineria di Korsou N.V. (RdK), Curaçao Refinery. This resignation was pronounced during the continuation of a special general meeting of shareholders of the state-owned company. In November 2017, the Supervisory Board of RdK (RvC) voiced its concern to Mr van der Wall Arnemann about the policy pursued by the now former director aimed at the modernization of the refinery and the Bullen Bay terminal. It was unclear for the Supervisory Board whether Mr van den Wall Arnemann, in his actions in this process, had put the interest of RdK first and if he was transparent in the provision of information. The Supervisory Board has asked the former director to justify the policy he has pursued and, in particular, to examine whether the MDPT’s expenses financed by RdK have been tested for effectiveness and regularity. In addition, the Supervisory Board asked Mr van der Wall Arnemann to indicate whether he played an open card about the existence of and the worrying findings in a preliminary due diligence report on the then potential strategic partner Guangdong Zhenrong Energy Co. Ltd (GZE). This report was submitted to Van der Wall Arnemann on 19 January 2017, even before an addendum to the Heads of Agreement between RdK and GZE was signed. From subsequent discussions and written correspondence between the Supervisory Board and Mr van der Wall Arnemann, the Supervisory Board must have established that the former managing director has not complied with his duty to provide information to the Supervisory Board. In addition, it appears that Mr van der Wall Arnemann has taken various substantive decisions without having taken an independent consideration of interests, as may be expected from a statutory director. In the opinion of the Supervisory Board, Mr van der Wall Arnemann was fully guided by others. On 18 December 2017, the Supervisory Board suspended Mr van den Wall Arnemann and on 5 February 2018 the Supervisory Board terminated its confidence in him, since the Supervisory Board is of the opinion that Mr van den Wall Arnemann cannot retake the responsibilities that belong to the position of of a statutory director. Both the shareholder and Mr. van den Wall Arnemann were informed about this and the Supervisory Board proposed to the shareholder to proceed with the dismissal of Mr van den Wall Arnemann. The shareholder fully subscribed to the proposal of the Supervisory Board, especially in view of the important role played by RdK's management in the entire refinery modernization process and the important decisions to be taken in the coming months. A special general meeting of shareholders was convened before 15 February 2018 in order to give him the opportunity to make a defense. This meeting was postponed at the request of the former director so that he could have the time to thoroughly prepare his defense. The special general meeting of shareholders subsequently took place on 5 April 2018. During this meeting the hearing took place. At the request of the shareholder, the meeting was postponed until further notice. The shareholder has submitted the intention of dismissal and all underlying documents of the Supervisory Board and Mr van der Wall Arnemann to the SBTNO. In its opinion of 16 April 2018, SBTNO concluded that there were no weighty objections to the proposed dismissal of Van der Wall Arnemann. The special meeting of shareholders was then continued on 17 May. It was decided to dismiss Mr van den Wall Arnemann as director of RdK with immediate effect.